Uncover the elegant air of an English rose from the Orient with the Atkinsons Her Majesty The Oud Eau de Parfum, a floriental perfume for women. 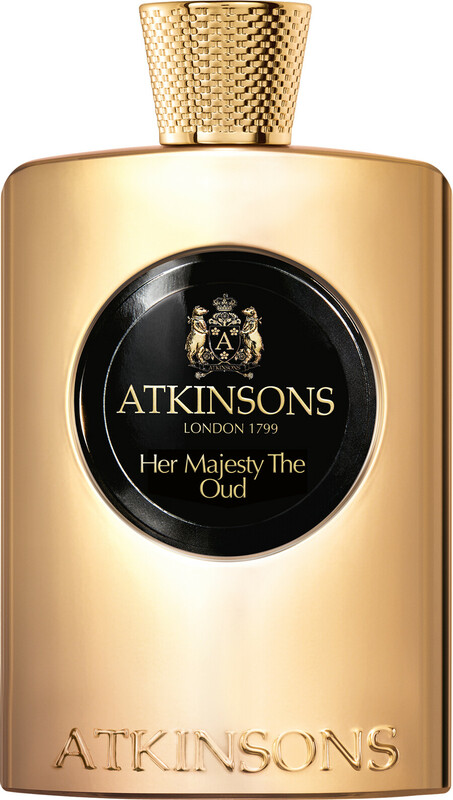 A bedazzling Bedouin scent, Atkinsons Her Majesty The Oud is for a woman who stops time with her beauty. Blessed with splendour, this precious heroine will stop at nothing to fulfil her true desires, and this majestic oud scent embellishes her alluring trail of seduction. Addictive and indulgent, she deserves nothing but the best, especially when it comes to her fragrance. This rich and spicy blend bursts open with a powdery explosion of Turkish rose oud. As the feminine nuances of oriental exoticism billow over the jammy tones of osmanthus, the evocative base of creamy vanilla and crisp leather entwine to provide your senses with a silk like dry-down that lingers.